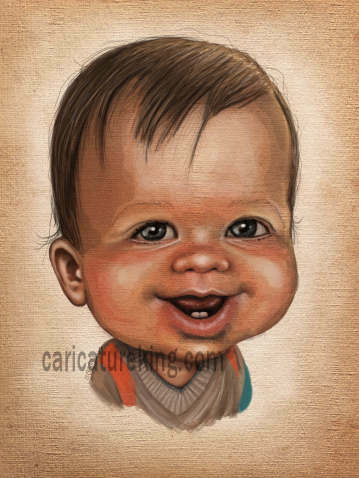 This is about a Prince Caricature or a Princess Caricature in recognition that we know kids are special – sometimes they even reach the status of Royalty! What better way of commemorating their high status than with a caricature keepsake that they will love to have on their wall. 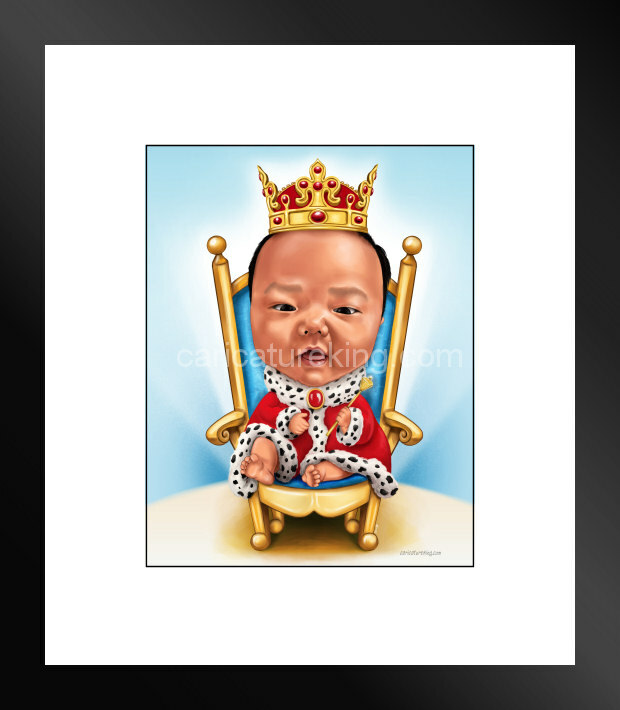 They may not be Princes Charlotte or Prince George, but yours or relative’s children will look great drawn from photos – just like little Royals. Here is a sweet example by artist Darius with a mock framing (we have framing as optional). Explore our site for more fun examples! This one from Keimo – no embellishment needed!